open style lab | Abler. 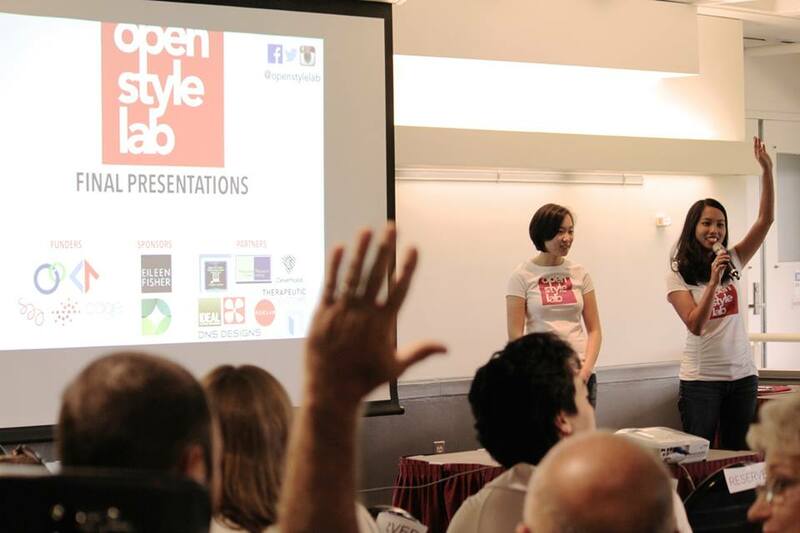 This past summer I was a mentor and speaker for a brand new pilot program at MIT, called Open Style Lab. 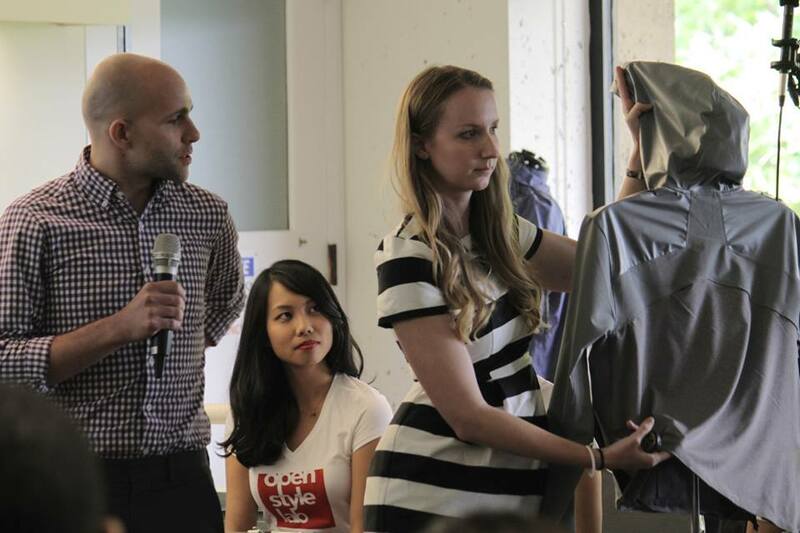 It was a 10-week program for students in engineering, fashion, industrial design, and related fields—all working collaboratively on adaptive clothing for specific client-partners. 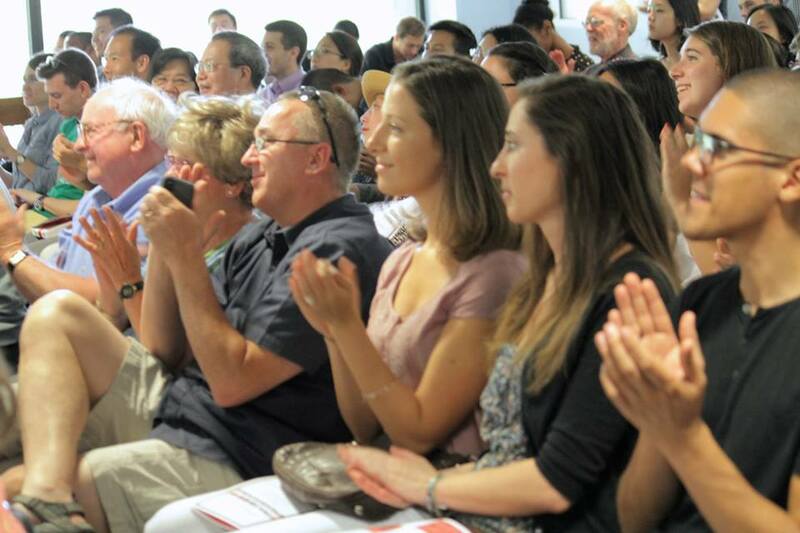 The final review was in August, but you can glimpse the projects on their Facebook page, and you can see them live in presentations slated for the Museum of Science in Boston, on Saturdays in October. 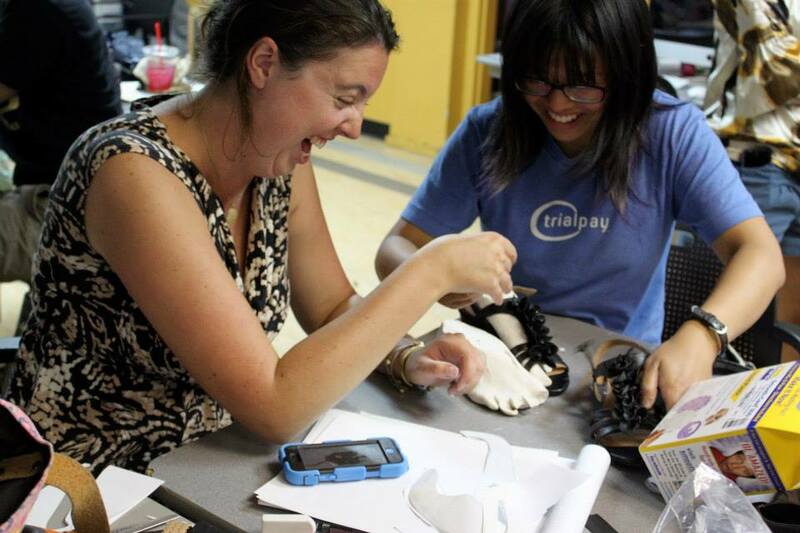 The photo above is of Grace Teo and Alice Tin, co-founders, and who, with Lea Yoon and Kavita Raghavendran, made this enormous effort happen: 8 interdisciplinary teams, with 8 clients, and 10 Saturdays to generate a prototype for a piece of adaptive clothing suited to the client’s particular wishes and self-identified needs. I watched the program from start to finish, and I was very much impressed with the integrity and opportunity of the model: clients were front and center from the beginning. And they were a self-selected group, willing to engage and educate young designers and engineers. The teams were genuinely interdisciplinary, and they had to do more than talk to one another. They had to find translational languages to go about problem-solving for functional and aesthetic questions. And all of them were participating on the weekends, on top of paying jobs and other obligations. Here’s a video of one client, Ryan, a chair user who has an incomplete spinal injury. Ryan wants a jacket that will be easier to put on than the 10-minute ordeal he’d been wrangling through. He also wanted it to be rain-resistant but not overheat, suitable through temperature changes indoors and out; and be travel-friendly in his chair. Open Style Lab Webisode 2: Trail Blazer from Open Style Lab on Vimeo. The team learned that protection from the rain is key for Ryan: His partial injury means that he has some nerve sensation coming back post-injury, but it makes the sensation of rain on his skin very painful—like getting a tattoo, he said. So they focused on a lightweight model that he could put on and take off much more easily, shielding him from moisture but without the tendency to overheat. 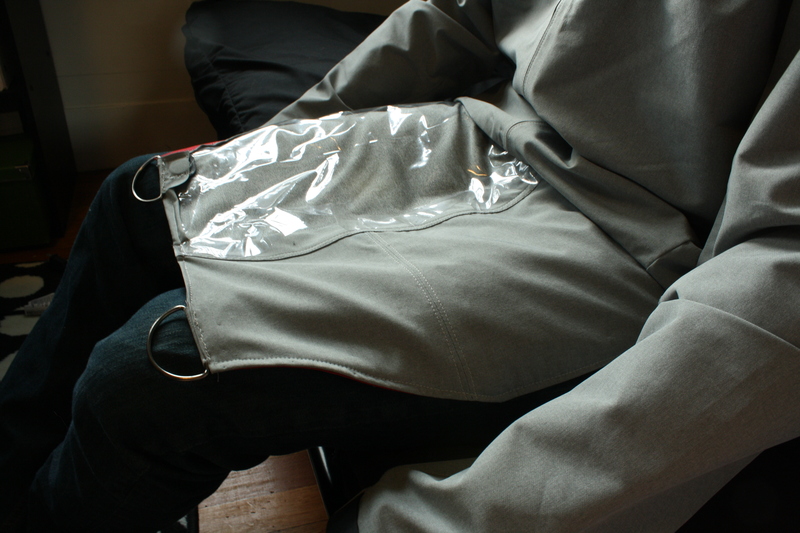 A water-repellent fabric covers the shoulders and the hood. Only a small portion of the jacket is water-repellent, because this material is often not breathable. Due to Ryan’s injury, he has difficulty regulating his body temperature, so a jacket completely made of non-breathable fabric could become too hot very quickly. Sweat or moisture against the skin can also be dangerous for people with irregularities in sensation and mobility. So we covered only his shoulders and his head, where it would be exposed to the rain the most. The sleeves and the front portion of the jacket are made of and lined with a breathable, moisture-wicking material to keep both sweat and rain off of his skin. We replaced the back of the jacket with even more breathable material. His back is constantly in contact with his power chair, so his back doesn’t need a water repellent fabric. Instead, he needs a well ventilated fabric to cool down his body and prevent sweat build-up. The team also re-designed the zipper mechanism, placing it along his right shoulder and down one sleeve, equipped with a tether pull—Ryan’s idea—for extra ease in using his own left hand, the stronger of his two, to open it up. The team also created this ingenious lap flap, with easy open-close d-rings. 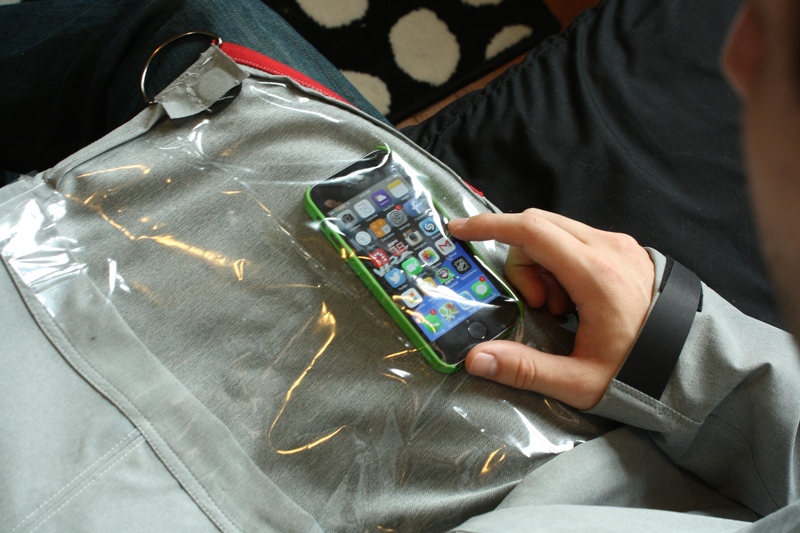 It will lay open on his lap, and plastic sheeting will shield the fabric and his phone, for example, from the rain. If he’s getting directions outside, this protection, security, and ease of use is critical. I emailed with Alex Peacock, one of the fellows involved (and full disclosure—a former student of mine at RISD). He had a lot to say about the jacket itself,but it was most striking to hear his thoughts about the process of working up close with one client from beginning to end. In applying to OSL, the prospect of working directly with a client to produce a product that they themselves would be able to utilize was enough alone for me to sign on. However, through the process of getting to know Ryan and his story, he became much more than a client. He truly was the fourth member of our team. We promote cross-disciplinary collaboration in academia and the workplace, yet the client is often pushed out of that equation, or only reserved to validate your progress. Working with Ryan taught me the importance of keeping the client involved throughout the entire process. In the field of assistive technology there is no ‘professional’ on the team more critical to the project than the individual for whom you’re designing. It’s an era when designers and developers are spending time “empathizing” in the abstract, and doing simulation exercises—of blindness, or depression, or age-related conditions. But look what happens when you get designers just *asking lots of questions* in person, and responding to the answers. Smart, beautiful gear with implications far beyond the one user. The group will continue this model next summer, so watch for announcements on their web site. Thinking is all what we need to make other’s life better ..